Blog No.159. Russia’s Syrian policy. In my Blog. No. 156, ‘The Tangled Web of Middle East Politics,’ (1) I attempted a résumé of the main ambitions and motivation of the multiple cooks engaged in spoiling the Middle Eastern broth. In this short blog I will expand on that blog by concentrating on Russia’s Syrian strategy. Idlib. Syria. Much has been going on in the background as Putin and Assad between them quietly put the Western supported rebellion to bed. Under what would appear to be pretence of ‘mopping-up’ Islamic State remnants, American-backed forces retain control of the Syrian oil fields on the East bank of the Euphrates. The US also retains its increasingly precarious links with the Kurds in Mandijb, near the Turkish border in Eastern Syria. 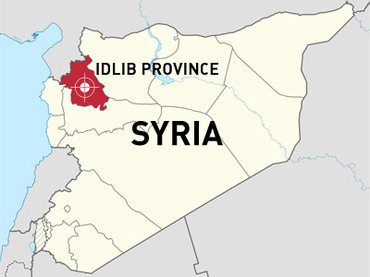 However, the next action would appear to be about to happen at the Western end of that frontier, in Idlib province, where around 10,000-15,000 battle-hardened Islamist warriors are now ensconced. 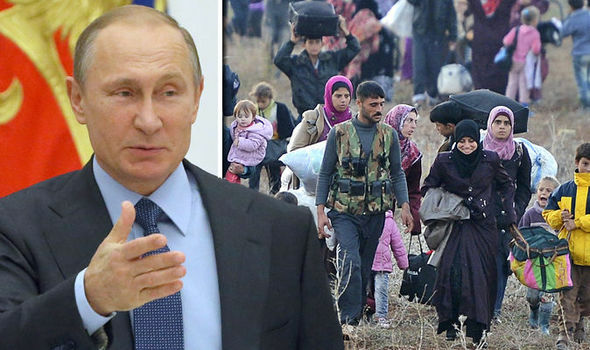 Probably Putin’s main motivation on becoming involved in the Syrian civil war was his fear that, were the secular regime of Bashir al-Assad to be overthrown, the new regime would fall under the influence of sundry Jihadists. About 12% of the Russian population are Sunni Muslims. Muslim discontents from Russia’s southern provinces have made a significant contribution to ISIS and others of the Jihadist groups opposed to Assad. Putin does not want those fanaticised warriors to return to Russian soil. Putin’s tactic has been to besiege and retake the rebel strongholds throughout Syria, one by one. The last of these rebel enclaves around Deraa on the Jordanian border in the south, fell in the past month. In each case, as the rebel’s situation became intolerable, they were offered the option of either laying down their weapons and entering the embrace of Assad’s government, or piling into buses with a guaranteed secure transport to Idlib in the north east of Syria. In Idlib, multiple jihadist factions are inflicting their particular brand of Hell on the local inhabitants, while waging war among themselves on all those other factions of similar ideology, but possessed of a different version of scriptural truth. A significant number of undesirable Russian citizens, having been gradually driven together, are now trapped like rats in the Idlib barrel. One has to believe that Putin has no intention of letting them either to live to fight another day, or to return to the homeland. To this end, having now defeated the rebels to the South, the Syrian army is slowly concentrating in the North on the borders of Idlib. Enter China. Of course, Russia is not the only country which fears the return of fanaticised citizens from Syria. China has a similar anxiety with thousands of Islamist Uyghur militants from its western provinces now settled in Idlib. In a major break with traditional Chinese foreign policy, it now looks as though the Chinese military might also join in the move to mop up the Idlib pocket. “Chinese Ambassador to Syria Qi Qianjin has suggested Beijing could soon deploy forces to assist the Syrian Army in its upcoming Idlib offensive, in addition to anti-terrorist operations in other parts of the country. It now looks as though, under Russian tutelage, Syria will be restored virtually intact to Bashir Assad’s regime. When this happens, Russia will have achieved all three of its original objectives on entering the conflict. By so successfully shoring up Assad’s regime, Russia will have prevented the USA using Syria as a transit route to enable Qatari gas to displace Russian gas from its lucrative European market. 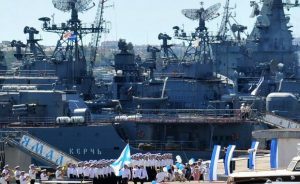 It will have retained and strengthened its Mediterranean warm-water, naval base at Tartus in Syria and will have prevented Syria being used as a recruitment, training ground and subsequent launch pad for jihadists into Russia’s and China’s Moslem areas. Consequences. What are the possible longer-term, geo-political consequences of such a Russian triumph? Firstly, Russia’s survival in the face of the joint CIA-MI6, anti-Russian gambit in Syria, which was intended to be a major step forward in the USA’s search for global hegemony, means that the continued existence and further development of a multi-polar system is assured. The Kurds. Secondly, provided Trump is capable of restraining his neo-con crazies (a big ‘if’) and the USA does in actual fact stop paying and arming mercenaries to fight Assad, things will quieten down and the Kurds, with Russian support, will be able to incorporate into the Syrian state under their principle of democratic confederalism. Putin had already negotiated that deal for them, but the USA promised them total autonomy instead. The Kurds, foolishly opted for the best deal on offer – even though it was unattainable. (What better illustration could you have of the best being the enemy of the good! Alas, the history of Kurdish decision-making is littered with strategic error.) With American withdrawal and Russia remaining on-stage, the political situation will ease, not only in Syria, but also in Iraq, Turkey and Lebanon. As in Afghanistan, the USA’s presence has been the cause, not the cure, of the malady. The Israelis. Russia’s relations with Israel are such that, provided Russia hangs in there, Israel will not be unduly alarmed by the USA’s withdrawal. Though it would have preferred Syria to have become an American satrapy, thereby furthering the ultimate prospects of American participation in an assault on Iran, at least in Assad, Israel is left with the devil it knows. Certainly, it is better that he should remain in control, rather than a Syrian government run by the jihadists that the USA’s campaign was most likely to have ended up placing in power. Prior to the USA’s invasion of Iraq and the subsequent destabilisation of Syria, the Syrian and Israeli regimes had worked out a functioning relationship – there is no reason why, with Putin as midwife, that situation should not return. Longer term goals? I would suspect that behind it all, Putin sees a greater and longer-term potential goal that might just possibly be now in reach. This would be to bring a permanent peace to the ME and thus its denial to the USA as a potential launching ground for attacks on Russia. 1. My best guess is that the shorter term deal Russia will be trying for is that Israel will persuade Trump to get all US troops out of Syria in return for Iran removing all of its troops. That would be a win for both Israel and Iran – provided each can accept the compromise of losing some of the advantage they had been seeking. Trump, but not his minders, would probably also see such a deal as being to the USA’s advantage. 2. The curly one is the protection of Lebanon. The Israelis have a long term strategic goal of annexing all of Lebanon south of the Litani River. Access to the Litani will seem ever more desirable as Israel’s population grows and climate change increases its grip. The Shiite theocracy in Tehran sees it as a religious duty to protect the Shiite Lebanese peasantry, who established Hezbollah in order to defend itself against repeated Israeli incursions. 3. There is of course, another major advantage for Tehran in its support of Hezbollah. Hezbollah’s potential to retaliate against Israel provides a major disincentive for Israel to attack Iran. However, were Russia able to negotiate a deal sometime in the future, whereby Iran became assured that it was unlikely to face a direct attack from Israel (and an American attack on Iran without Israel’s full support is improbable) this would remove some of the urgency that Iran feels in its support of Hezbollah. 4. Much western commentary is to the effect that Iran will insist on maintaining its military position in Syria, even after Assad’s regime is secure, in order to secure a land-bridge over which it can provide arms and other support to Hezbollah in Lebanon. However, why should an Iranian military presence, in such a friendly state as Syria, be essential to the continued free transit of Iranian arms and personnel to Lebanon? 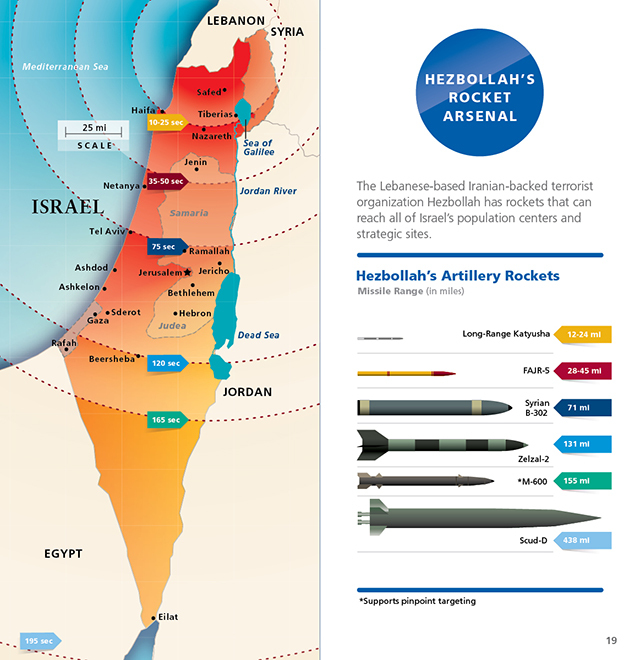 Getting rid of the Iranian military presence might reduce tensions, but would still not solve Israel’s basic problem of living with Hezbollah, a northern neighbour that refuses to roll over and has access to modern weaponry. 5. So ultimately, the success or otherwise of the whole Russian strategy in Syria hangs on the Israeli–Lebanese relationship; what is required to convince the Lebanese Shia (and others) that the Israelis will stop attacking them? That will depend on the Israelis feeling secure in their ownership of the contents of whatever they and the international community ultimately agree on as to the demarcation of their borders. To my mind that cannot be achieved without an agreement between Israelis and Palestinians. I suspect that the Russians will have reached a similar conclusion. Most obviously, such an agreement will never be arrived at with the USA as the so deeply compromised mediator. 6. The only feasible mediator would appear to be the Russians. Moves made towards reconciliation between Russia and Israel, to the point at which both Arabs and Israelis can view Russia as an impartial intermediary, would therefore be in everyone’s interest – excepting the John Boltons and Netanyahu extremists of this world. As such, the current apparent warming of relations between Tel-Aviv and Moscow and the very modest, apparent cooling of relations between Moscow and Tehran should be welcomed by anyone looking for a permanent ME settlement. Provided the secular regime in Damascus is safe, Russia has no interest in allowing the Iranian theocracy to retain military forces in Syria as a perpetual irritant to both the Sunni world and to Israel, as a possible casus belli of yet another conflict, which the ME could well do without. Ultimately, with the long-term aim of exiting the USA from the ME, Putin will be wanting to insert a wedge, however narrow, between Israel and the USA. Given the multiple Israeli citizens of Russian origin, and the USA’s continuing predilection for making errors in foreign policy, it is not a hopeless ambition. The American public and its elite have been seized with an unjustifiable and globally counter-productive Russophobia ever since the US invasion of Russia and the Midnight War of 2018. With its subsequent iterations in the Cold War and now the latest round of demonisation of ‘that KGB thug, Putin,’ this mental illness is surely chronic and is not going to go away on its own accord. The American elite find it much too useful and have sufficient control of the MSM to ensure there is no chance for the US public to rid themselves of their infection. Putin is fully aware of this condition and will have no illusions that sucking up to Trump will solve the problem. Until the US awakes from it dreams of empire, the abuse of Russia will continue. Therefore, all Putin’s strategy will be directed towards bringing about the end of that empire’s global influence and of the illusion of American exceptionalism. There is nothing in any of this nuanced change of Russia’s positioning vis a vis Israel and Iran that need deter Iran from seeking membership of the SCO – a membership that fits perfectly into Putin’s plans for the USA’s future return to normality among nations. No doubt, China’s attitude to this situation is similar, or even identical to Putin’s. Nor would I view these manoeuvres as a disaster for the Palestinians. The Palestinians have no hope of anything approaching a happy outcome while America continues to dominate Israeli perceptions of their national interest. In the long term, an increase in Russian influence in Israeli could only be of advantage to the Palestinian cause. This entry was posted in Global Governance, Middle East, West v East and tagged Idlib pocket destroyed, Israeli-Russian-Iranian relations, Kurds agree with Assad, Russia as ME mediator, Syrian refugees return, USA leaves Syria.